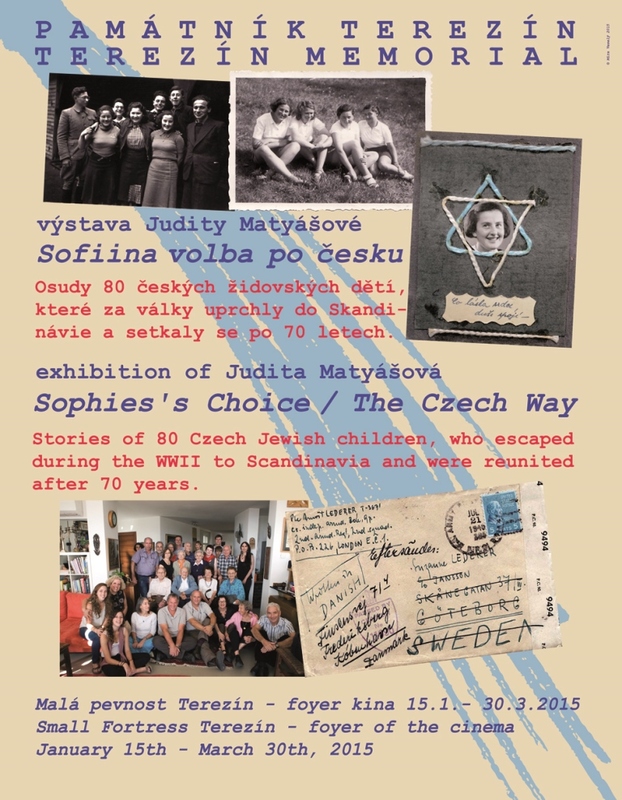 In the first quarter of 2015, the Terezín Memorial hosted an exhibition of Judita Matyášová “Sophie’s Choice – The Czech Way”. The exhibition presents the fate of 80 Jewish children who in 1939 attended preparatory courses for life in Palestine, which brought them to Denmark and saved them from the for Jewish population increasingly burdensome situation in the Protectorate of Bohemia and Moravia. 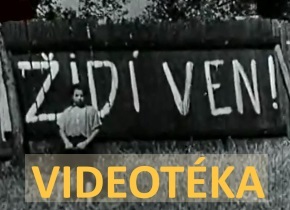 However, this “liberation” was redeemed by separation from their families; on their departure to Denmark, 14- to 16-year-old boys and girls saw their parents for the last time, because most of their parents and closest relatives were later deported to the Terezín ghetto and subsequently died in the East. 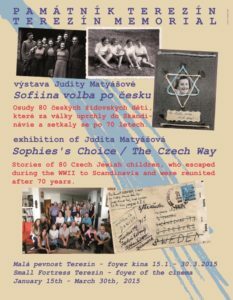 70 years after these events, Judita Matyášová managed to uncover a forgotten war story and piece it together; she wrote a book about it and prepared an exhibition. Its panels depict the fate of young Jewish people, their life in Danish foster families, dramatic escape to Sweden in 1943 and the post-war life, which brought these young people to different corners of the world. 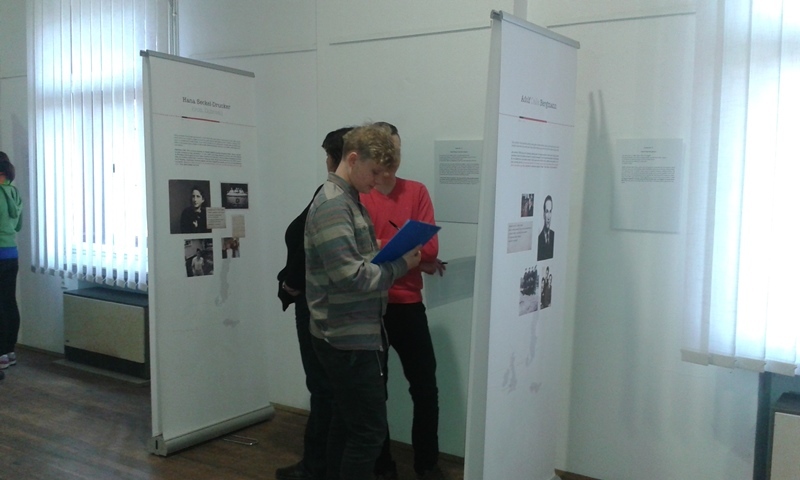 The Education Department of the Terezín Memorial used the information potential of the exhibition and created a workshop which, in February and March, offered to several school groups as a part of their educational seminars in the Memorial. 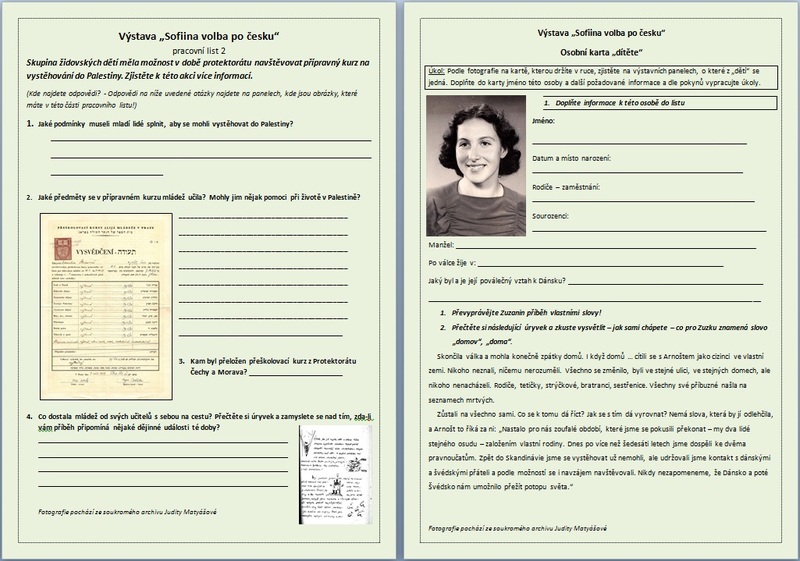 Through worksheets and other specific tasks, young people learnt about the life of their peers from the time of 70 years ago. 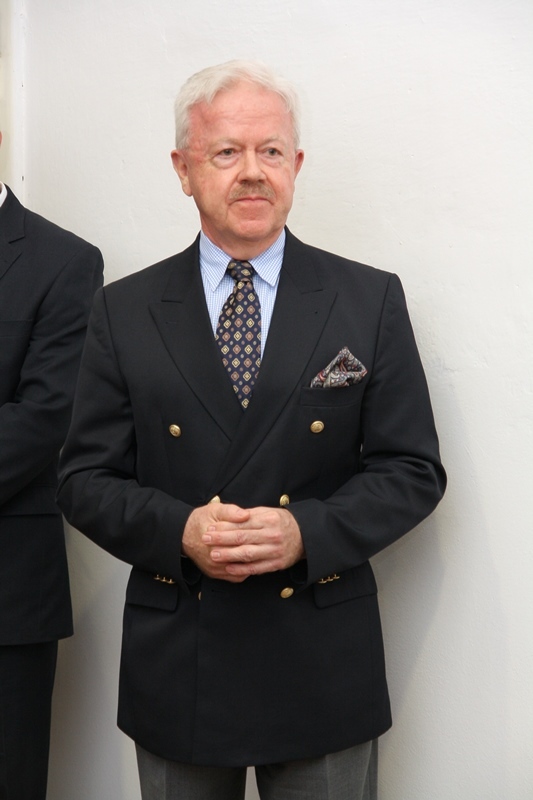 Lecturers helped to put the events into a broader context associated with the possibilities and difficulties of emigration of the Jewish population at the time of persecution. 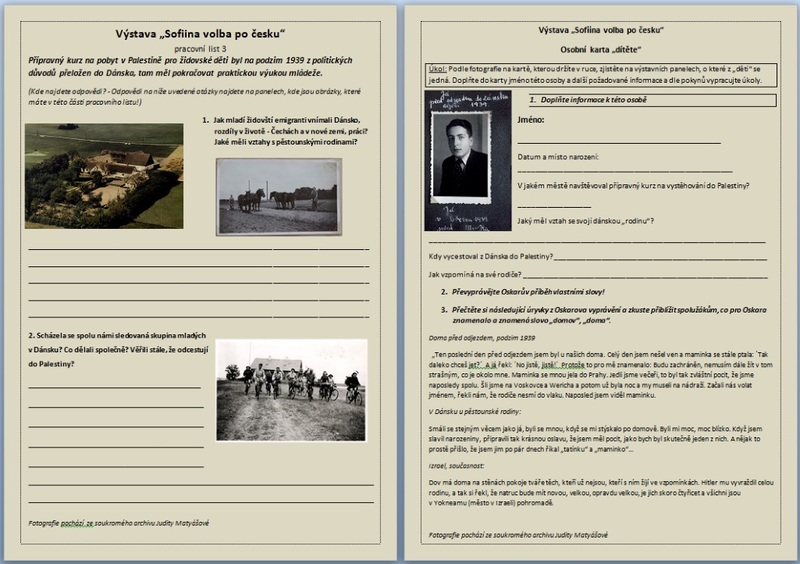 “Personal Cards” of several heroes of our story then raised the topics for discussion about issues being on the front burner at the time of the Nazi occupation just like today: Where is my ´home´? What does ´home´ mean to me? Who is ´a patriot´? How difficult is to decide for emigration? What are the pros and cons of such emigration? What status does an immigrant hold? To what extent should immigrants assimilate? 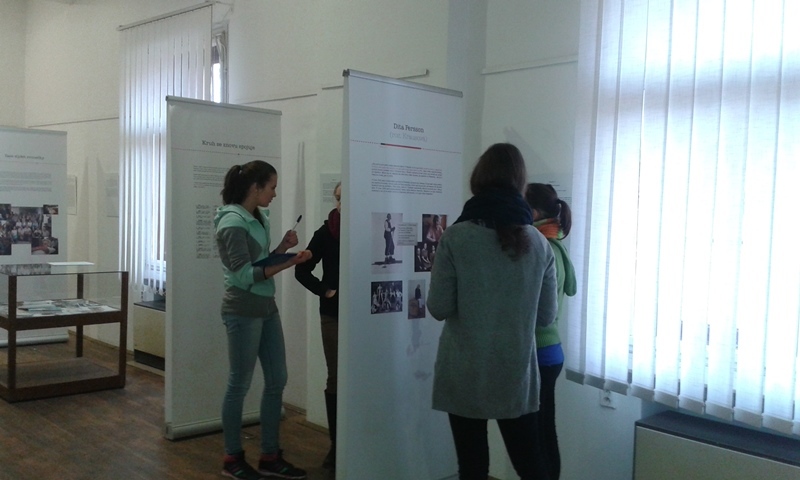 … Part of the workshop was also a follow-up meeting of school groups directly with the exhibition author Judita Matyášová, who, in a most gripping way, talked about her way to track down the story and to search for “traces” of individual children. 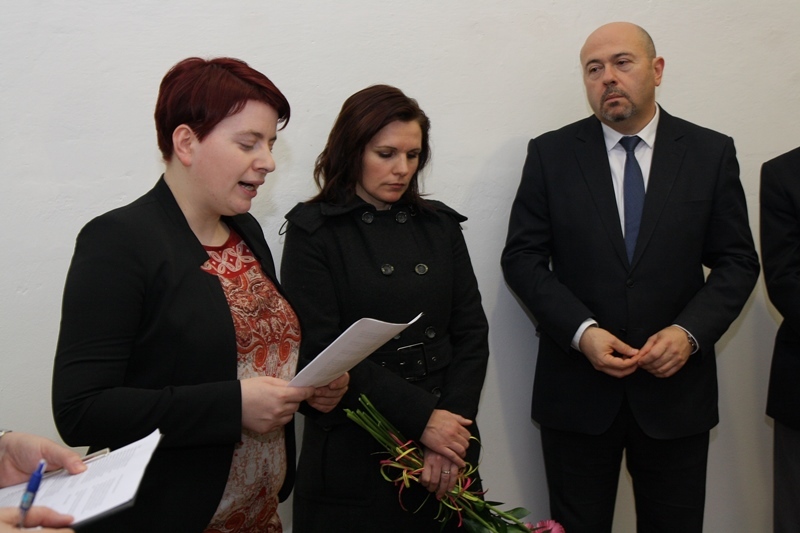 Currently, the Education Department is working to develop a workshop which would be based precisely on the theme of the exhibition, and which would be regularly offered to school groups as part of their educational stays in Terezín starting autumn 2015.